I have been provided with passes to preview the Boston Globe Travel Show. Until recently I had never really been to a convention center for anything. I guess I have been to the New England Food show, but that’s it. This year though, I had my first car show experience and I may be a little addicted. This weekend in addition to the New England Boat Show, The Boston Globe Travel Show opens. I am really looking forward to both! I am a researcher by nature. I think it ties into my control freakiness and also I just like learning new things. So, a giant room filled with all the options and the experts is pretty awesome. 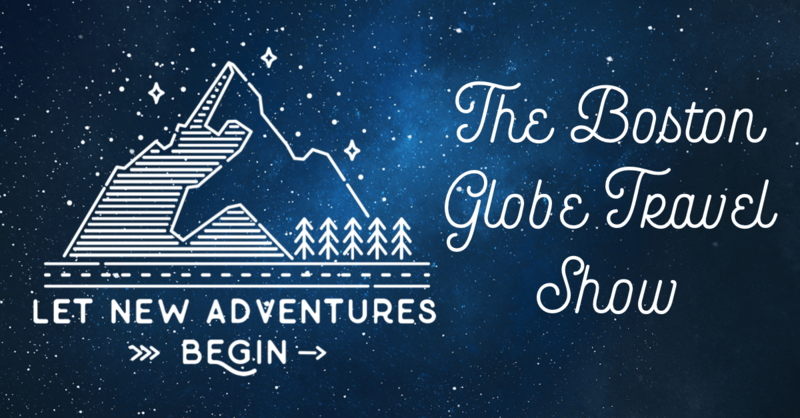 Next up will be a different kind of show: The Boston Globe Travel Show. A travel show is a little less concrete than the other shows because the actual destinations, hotels, activities will not be there in the room with us. I’m always surprised even in this age of travel websites, Instagram, Pinterest, Facebook and travel blogs how much more information I am looking for when I plan a vacation. Some sites have no pictures of the common spaces, others neglect to mention 1/2 the amenities. The Boston Globe Travel show is an opportunity to check out some tried and true destinations and see what’s hot for 2018. The Boston Globe Travel Show will have the destinations and hotels there for you to meet, greet and grill. The Boston Globe Travel Show will be at the Seaport World Trade Center from Friday, February 9th through Sunday February 11th. Tickets are $10 online or $15 in advance. Children 16 and under accompanied by an adult enter for free. City Living Boston readers get 50% off their tickets if purchased in advance here. Is parking included? Is there a shuttle to and from the hotel? What family-friendly, workout-friendly, business-friendly, etc. amenities are available? Will the pool(s) be open? Are there specific family times? Do you have any special rates or packages available? What type of neighborhood is the hotel located in? Tomorrow, Wednesday, February 7th, join Masshole Mommy and me on Facebook live at City Living Boston at 11:00 a.m. for a chat all about planning for February Vacation which is just around the corner!